The submitted widget will be displayed with the tag [images]. Great image display widget based on your keyword search. Enter the keyword for the images you want displayed on your widget along with other parameters such as font and background color. Just press the Generate button to display the code. 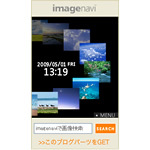 Search professional photos on the Japanese image site, Imagenavi, with this floating gallery widget. Clicking on an image takes you to the page on Imagenavi where it is displayed. You can also search Imagenavi right from the widget. 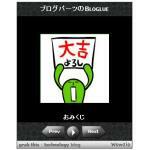 A great resource for images found only on a Japanese website. Please note however that all images on Imagenavi are done by professionals and must ultimately be purchased to be used. Go to the widget's website. Select the color of the widget in step 1. Select the type of images to be displayed in step 2 (for example, nature, people, sweets, animals, etc...). And in step 3, click on the button on the bottom left encircled in orange and the code will appear immediately. Big Globe offers a variety of high quality widgets which display images of hot springs from all across Japan. Not only images that you can control, but click on any image and go immediately to that hot spring's website. Of course Japanese is needed at this point, but the sites sometimes offer some English. 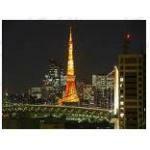 Also, use the search button below the images to search your favorite area of Japan. Go to the web page to easily get the code to your favorite widget. Another great widget from Wowzio that puts your site's images into a slideshow. Each image links to page image is displayed on. A truly well made and beautiful widget that displays all images from your website or blog. Each image links to the corresponding page. Lots of customization, too. Just enter your website's URL on Wowzio's webpage and your widget is created. If you are into Nature, or particularly the nature of Hokkaido, Japan, this is a nice widget. The website has several similar widgets with the code simple to spot. A great widget to display images of your choosing from across the web. Go to the web page to set the parameters and get the code. The top entry is the keyword for the images you are looking for. For example, [Cats]. Next, enter the number of images you want to display in the widget. Then select background color folllowed by text color. Next is the size (horizontal x vertical). Finally, press the large [リンク作成] button to generate the code and preview the images. Then just copy and paste the code. Each time you access your webpage or blog, the photo changes with another healing image. On the webpage, the code is under the character スクリプト. Easy to find. Get your daily dose of rabbit with photos of a cute rabbit named Mary. Code simple to locate.